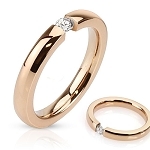 Typically you will get rings with a 2-6mm width band when selecting rings sized 3-8. 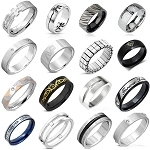 Rings with an 8-10mm band are typically found with rings sized 10-15. 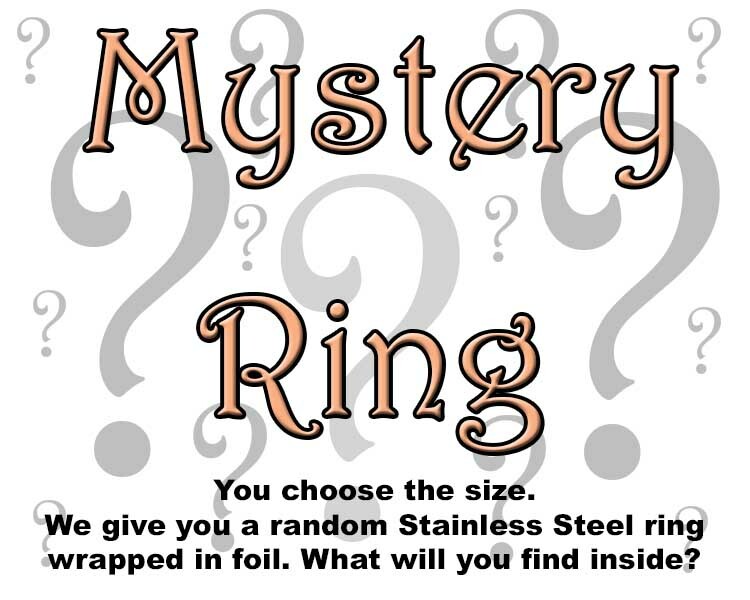 You will receive a randomly selected stainless steel ring wrapped in foil. 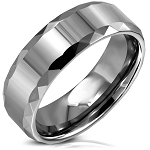 Ring styles will vary and are valued at the same price as a regular stainless steel ring. Love the mystery rings. 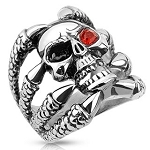 Very affordable for stainless steel and each ring I have ordered has been something different than what I already have. So exciting opening each little package to see what's inside. My favorite mystery ring so far is a Red and White eternity ring, but I have not been disappointed by any of the rings I have received yet. I ordered 6 of the Mystery Rings in different sizes and got one with the Batman symbol, one with Superman, a ring similar to Pink Nyssa but yellow tones, one similar to the blue faceted ring and the last one a very pretty one with some black and some design on the black. Very happy with all of them! I had one more that has a blue cross in it, but a customer bought that one up as soon as they saw it!